Market Homes on the Sly with Aromatherapy - Geri Reilly Real Estate Consumers are more savvy than ever, making them less responsive to many traditional marketing techniques. The internet allows potential home buyers to do intensive research before they even visit a possible new house. Consumers today are more aware of advertising techniques, and aggressive or obvious marketing ploys can easily backfire. So what are the best ways to market homes? One of the most subtle and effective methods involves creative application of a little science. 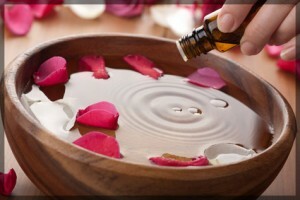 You may have heard of aromatherapy being used at open houses to market homes. Studies have shown that smell is one of the first things people notice when they walk into a new place. Unpleasant odors like litter boxes, trash, or stale cooking odors can turn buyers off instantly. However, the right scents applied in the right rooms can make a stunning difference. This doesn't mean that a bottle of spray-scent is all you need, however. Subtlety is key. Heavy perfume sprays or plug-in commercial diffusers may be overpowering or fake, causing potential buyers to wrinkle their noses. A little research and a bit of shopping can help you employ understated aromatherapy. You may find that it's an inexpensive and effective way to market homes. Fresh, fragrant flowers near a window can impart a clean, open atmosphere. A touch of lavender evokes relaxation and a feeling of comfort in a living room or great room. Jasmine or Ylang-Ylang induce romance and are perfect for a master bedroom. Orange, lemon, or lime oils are wonderful in bathrooms or laundry rooms. Even something as simple as the smell of fresh-baked cookies lets prospective buyers know that they're in a house that's just waiting to become a home. Besides, cookies make everyone happier, and happy people love to buy. It's time to get a whiff of all that aromatherapy can do! Looking for the best ways to market homes? Let us help!